The first change is that users will notice a new splash screen. The "tiles", those squares that serve as shortcuts and widgets, appear in different shapes and in greater quantity. Their size, color and location may be edited. This is the only thing that the current owners will receive via Windows Phone version 7.8. The Windows Phone 8 shares the same kernel, file system, drivers and other elements of Windows 8. That is, it will have the same "DNA" of the Microsoft operating system for PCs, whose eighth version is to be released later this year. The change, while allowing its use in smartphones more powerful and integrated with the computer, just makes it incompatible with existing equipment. Even the recent line Lumia, Nokia, will not receive the WP8. On the other hand, developers of applications and games will now be able to create their products by the same code for both smartphones and computers, taking advantage of each platform and integrating both. Interested parties will soon have access to new tools and a new SDK based on Visual Studio 2012. The new Windows infrastructure will allow manufacturers to develop devices with more than one processor core (dual-core, quad-core, etc.). In addition, three types of screen resolution may be used, depending on the device: WVGA (800 x 480 15:9), WXGA (1280 x 768 15:9) and 720p (1280 x 720 16:9). 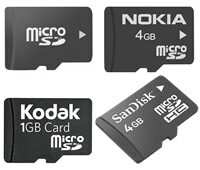 For the first time, Windows Phone will have the full support of removable microSD cards. Now there are few devices that support SD cards but they do not work very well, refusing some models and not allowing you to use them on other devices. With the new version, the card can be used to transfer music, photos, videos and even to install applications, as in Android. First seen on Android, NFC (Near Field Communication) will also be present in Windows Phone 8. This is the name given to the chip that turns your phone into a kind of credit card. With the use of software and compatible devices, you can make payments easily and without the need of a seller: just "scan" your smartphone. It now operates in a manner very similar to cards passing in buses, subways and other public transportation. The NFC also lets you transfer files and connect accessories more efficiently and faster than bluetooth. Taking advantage of NFC technology, Microsoft will add a sort of virtual wallet called "Wallet Hub." It works similarly to the Pass Book, a resource to be implemented in iOS iPhone 6 and iPad. All your credit cards, bank accounts and other financial institutions will be gathered there. For now, any partnership with any bank or national company is not yet revealed. Purchases within apps and games will also occur through the Wallet Hub. You may not like Microsoft's browser on your computer, but its counterpart in Windows Phone always won praise and therefore will be built into Windows Phone 8. 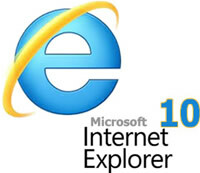 The tenth version of Internet Explorer is being developed to run on both PCs and Windows Phone, leveraging the unique capabilities of each platform. The tenth version will bring some improvements in security, such as a phishing filter and a warning system against malicious sites, SmartScreen URL, as seen in IE 9. There is also a possibility that it will bring greater integration with IE PC and even with IE's Xbox 360, being also under development at the moment. Acquired last year by Microsoft, Skype, and other VOIP systems, will be further integrated into Windows Phone 8. The operating system will have an infrastructure that supports these tools in various functions of the smartphone. This means, for example, they integrate the apps so far only connected to the dialer common as the Hub contacts (the agenda of the WP). Despite the change in the infrastructure of Windows Phone, the new version will support more than 100,000 applications and games already available on the Marketplace. The reverse, however, will not happen: the new apps designed for Windows Phone 8 will not work in Mango and other older versions of the operating system. Microsoft dropped Bing Maps to introduce the system of Nokia maps. Before the exclusive manufacturer of the equipment, it will be built into any Windows Phone 8, including those launched by the Finnish company's competitors. Unlike Bing, Nokia Maps lets you view maps offline and brings more detailed information. The service for GPS navigation with Nokia Peer Drive will also be present in the new version. The cloud storage service from Microsoft will be further integrated into Windows Phone, allowing you to save and open music files, photos or videos. That way you can access these files on your PC, Xbox 360 or smartphone, without bothering file transfers. 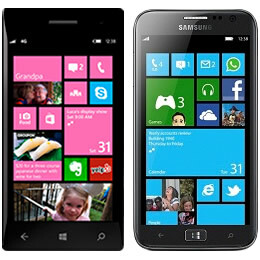 The Windows Phone 8 will do its utmost so that you do not spend your franchise internet 3G/4G. It will give preference to the use of Wi-Fi and automatically limit the use of data in 10 IE and other applications through a proxy service in the cloud - similar to what Amazon does with the Kindle's browser Fire. According to Microsoft, this feature can save you up to 30% of bandwidth usage. The user can also monitor your spending, knowing how much data have already been consumed or which apps are draining your franchise. In addition the Local Scout feature will help you find Wi-Fi hotspots available around you. The partnership with Nokia has also yielded a better camera application. Initially, it seemed to have many changes. However, it may be enhanced with the use of "Apps Lens", outsourced applications that personalize the experience of shooting (adding filters or some other resource, for example). Pictures taken are organized according to the app used and are editable. Microsoft wants to attract the corporate market with Windows Phone 8. It will come with device management, enabling better distribution and sharing tasks and working papers. To enhance security and systems against phishing and malicious websites in IE 10, Windows Phone will allow the encryption apparatus and bring the Secure Boot feature, which lets you be protected from malware even when the smartphone is switched on. In addition, applications will be based on the Office 2013 version for PCs. Interested companies may also use a "Marketplace" particularly for distributing applications. Microsoft said it will launch later this year versions of Word and Draw Something With Friends, two of the Zynga games that are already very successful in Android and iOS. Halo, Assassin's Creed and Skrym are other big names that will reach the Windows Phone with Xbox Live support. All devices Windows Phone 8 receive updates for a period of at least 18 months. The update will occur "over the air" using the internet without the need to connect your smartphone to your PC. For anyone who was excited by the news, the recommendation is to wait until the end of the year to purchase your Windows Phone, since older sets will not receive those functions. For calls from Norway to another countries better of all to use Continental telephone cards. The better way to make a call from Mexico another country is telephone card Royal Call. The best way to make a call from Peru another country is calling card Continental. It seems that a lot of interesting applications could be found in this Windows Phone 8, as well as new functions. Personally, I won’t buy this phone without testing. Luckily, there is no problem now to go to the shop and check all the functions, as well as to try whether the model is user friendly.